This is the second time that Claude Buckle has drawn this scene. A poster exists as well looking towards the town from across the port. 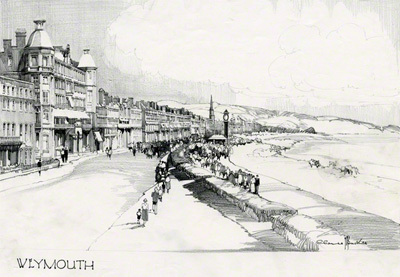 This pencil sketch is a view from the esplanade showing off the towns Georgian architecture and Queen Victoria's Jubilee Clock.